The seat of Indi has long been considered a safe conservative seat – apart from four occasions it’s been held by Coalition parties and their predecessors. Located in North East Victoria, its boundary runs along the Murray River and inland to include Wodonga, Wangaratta, Towong, Mansfield, Murrindindi, Indigo, Benalla and Alpine council areas, and a part of the Moira council area. These could be interesting times for Sophie Mirabella, the current member, as there are some quality candidates lined up to run for the seat. The local Wangaratta Chronicle ran a story indicating the other candidates were working together to oust Mirabella, but I saw no evidence of this. In fact given most of their answers to one question I asked them, I’d say this is completely untrue. However, most expressed a deep dissatisfaction at how Mirabella represents the people of Indi. The Liberals hold the seat with quite a large margin, but with the quality of the candidates running and a growing feeling of discontent with the incumbent this margin could be slashed, or perhaps worse. At the time of doing interviews – I asked each one the same questions to be fair – there were six candidates, but this has since grown to include Robert Murphy of The Palmer United Party and Lee Luvara for Katter’s Australian Party. The number of people declaring for this seat could grow. I interviewed and photographed five of the six who had declared – Robyn Walsh (ALP), Jenny O’Connor (Greens), Cathy McGowan (Voice For Indi), Jennifer Podesta (Ind) and Alan Lappin (Ind). The interviews will be posted as they’re transcribed from the recordings. I was unable to secure an interview with Sophie Mirabella but hope to in the future. I’ll also try to catch up with the new candidates. A– I’ve actually been involved in politics for quite some time. My former husband in fact was a local councillor on the Albury city council and I ran his election. He also stood as an independent candidate for a NSW state and I ran his campaign for that as well. I’ve had a bit of an interest in politics for a very long time. I am a small business owner – my husband and I have a dance school in Albury/Wodonga. I started my first business when I was 18. We’ve been involved in running dance schools in the area for a very long time. More recently I’ve been doing a Ph.D at the university of Melbourne in sociology and am just over half way through that at the moment. A– I’m running in the seat because I felt I had a different perspective to bring to the campaign. At this stage I think I’m the only candidate from Wodonga. I think it’s important a large centre like Wodonga has representation, but also I think from my studies as a sociologist I have a very strong social background. I really want to bring issues around social equality and disadvantage and those types of things to the fore. Q- Do you believe the hung parliament after the last election was a success and why. A– I think generally it was. Certainly if you speak to Liberal Party people they’ll tell you it’s not, but that’s hardly surprising seeing as they were in opposition. On paper there were over 500 pieces of legislation passed by the parliament, and I think that having a hung parliament forced the government to not only pursue issues that they perhaps wouldn’t have done otherwise because they were maybe not politically popular issues, but also forced them to negotiate and work to find some consensus on issues they perhaps normally would have been able to steam-roll through. From that point of view I think it was quite successful. Q– A problem faced by most of regional Australia is attracting medical professionals and retaining them. What measures do you think would help attract and retain health professionals in Indi. A– Well I think the programs the universities are already offering now with the rural medical schools will make a difference over time. When you train people in the cities they’re more likely to stay in the cities. I think there certainly is room for the government to look at ways to incentivise medical practitioners to be coming into regional areas. The biggest issue is with the smaller communities, rather than even so much the larger cities like Wodonga and Wangaratta, but the small community towns. I think that it’s difficult for those sorts of communities to sustain permanent practitioners. So perhaps we need to be looking at ways of having some sort of mobile type services where people are able to have services in their town coming to them. Because I think access is very important. Q– There is a perception in rural communities that many government services are hard to access. How can this best be addressed? A– Again I think we need to look at ways of taking services to people through developing mobile type services. Obviously improving internet capacity, particularly in remote areas of the electorate, will also help some people access those types of services. The government needs to look perhaps at again decentralising some of its own services too. 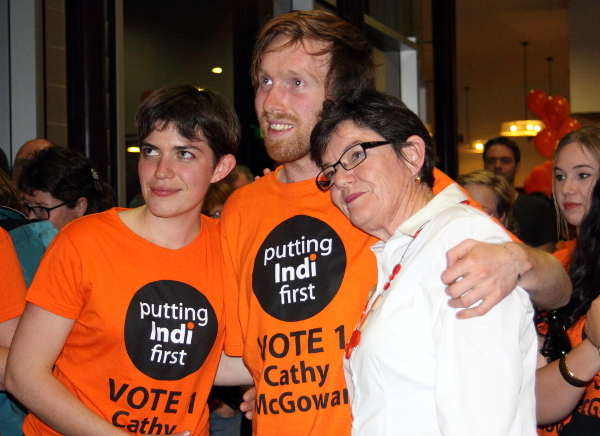 Q–Indi is an electorate with many pockets of small isolated communities. Many of these have high levels of unemployment and limited social opportunities. What role do you think the federal government can play in solving these issues? A– There is room for more decentralisation of government and public service organisations. At the moment the tax office is based in Albury/Wodonga but I think there is room for more of that. We need to be looking also at encouraging small business because small business across Australia, but particularly in rural and regional areas, are the biggest employers of people. So I think we need to look at ways to make it easier and less risky for small business to take young people into employment and take on apprenticeships and those sorts of things. Those sorts of things will help to grow small communities and keep people in those communities and then services will become more viable. Q– Internet access is a problem for many in this electorate. ADSL is not available in vast areas. Some cannot get wireless and many other people have difficulty with their wireless connections during bad weather. Those who have backup dial-up connections as I do experience constant problems with connection drop-outs because of the poor state of the copper network. Satellite is poor for applications requiring real time delivery such as Skype and is also adversely impacted by weather. There’s a growing number of farmers in remote areas taking their produce directly to consumers and small tourism related businesses, and both heavily rely on the internet for attracting customers. With these things in mind, what should the federal government do to help improve access to new communications technologies and improve the productivity and effectiveness of online marketing activities for rural businesses in remote locations? A– First of all I support the NBN. I think there will still be issues even with the NBN for rural and remote communities. I have read some reports where some local shire councils are getting together and actually paying for fibre optics to go into some of those areas that are not currently going to be covered under the NBN. I think that’s maybe an area where we can step in and look at helping local governments come together with business to form some partnerships to allow for the fibre network to go into more of these rural and remote communities. 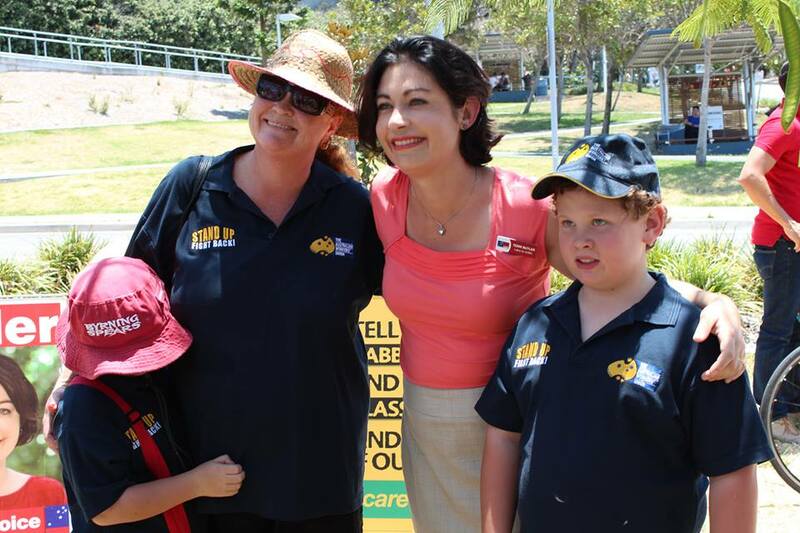 Q– How can the federal government best support education in the Indi electorate, especially the smaller remote schools. A– I think that under the Better Schools plan that the government currently puts forward, I think that the funding model with that, the funding goes with students. So that will hopefully make things better for smaller remote schools. I think that the model with the Better Schools gives loadings for students who are in these remote schools which will hopefully address these things. In terms of rural perhaps it doesn’t quite go far enough yet. There’s still room for improving that. Q– Are you happy with the level of assistance provided to rural kids when they must move away from home to attend university? A– No, I think there are so many young people having to take a gap year to go into employment in order to earn enough to be eligible for youth allowance. I think there’s not nearly enough recognition of the cost to rural and regional families to send their kids to university. My own kids had to, all of them, go away to capital cities and overseas to study. That’s a huge burden and I think it’s one of the reasons there’s such a discrepancy in the number of young people accessing university education in rural and regional areas compared to metropolitan areas. 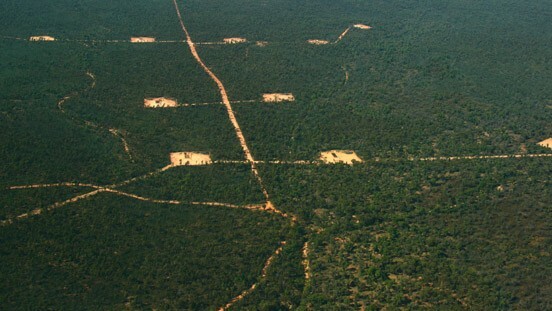 Q– Do you accept the accuracy of the science supporting anthropogenic global warming and why? A– Yes I do. Just the weight of evidence, the numbers of scientists now support that, even scientists who were previously not in agreement with it. I think it’s just a body of evidence that would suggest it’s accurate. Q– If you become the member for Indi, what climate change policy will you be supporting or advocating for? A– I would say it won’t be the current Liberal model. I actually have some concerns about moving to an ETS as early as what the government is suggesting. I recognise that the current level of the carbon price with the current scheme is very high for business and perhaps we need to thinking about adjusting that. But I have concerns about moving to an ETS with a very low price at such an early stage. I’d probably be supporting that but be wanting to talk about the starting price. Q– An increasing number of farmers who were once climate change sceptics are becoming increasingly concerned as they experience problems caused by what they now believe is due to climate change. What is your message to these people? A– I think it’s not just for these people – as a nation we need be to accepting this is what’s happening. We need to be putting resources into research and development, we need to be doing what’s required to bring about the sort of changes needed. In a way it’s probably too late for to be stopping the impacts at this stage, I think we’re talking about perhaps improving things for the next generation. Certainly we need to be looking at implementing as much research and development to change how we do things. Q– Did you agree with the Commonwealth government intervening to stop Alpine cattle grazing and why? A– No I didn’t generally speaking. I recognise there are some areas that perhaps need to be protected. But generally speaking cattle grazing is something that has been happening and managed extremely well over probably two centuries now. As long as it’s well managed and it’s in areas where it’s not going to be causing dramatic environmental damage then I don’t have a problem with it. Q– Can the federal government do more to help establish industries in the Indi electorate that would provide greater employment opportunities for locals? A– The things that are lacking in Indi are more to do with infrastructure. So I think that improvement in things like road and rail would make a huge difference to the potential for business to come and invest here. That’s where I think the government needs to be looking at spending more money. Q– Where will you be directing your preferences and why? If undecided what will most influence the decision on where you will direct your preferences? A– Currently undecided, I will be waiting to see the full field once the election is called. But I’ll be looking at the calibre of the candidates and what I think they can offer the people of Indi as their representative. Q– Why should the people of Indi vote for you? A– Because I am a long term resident and part of the community, I think I have a good understanding of the issues that face the electorate. I bring not only the perspective of a business women but also an academic who likes to have an evidence-based understanding of what’s going on. I think I have an energy and I’m passionate about people. Ah Yes…..Indie……the seat held by that towering edifice of political nous, Sophie Mirabella. That shining example of piety and honesty so treasured in politicians. That exemplar of womanhood. The seat of Indie should be relatively easy to wrest from Sophie Mirabella’s grasping hands. After all she appears to spend more time with the movers and shakers of the Opposition than she spends helping and dealing with her electorate. My mother lives in her electorate and there is no desire to see that lazy, potty mouthed incumbent get another 3 years. Considering that Tony Windor and Rob Oakshotte did such a good job for their respective electorates as Independents – lots of funding steered their way on much needed projects, then a change from Mirabella could only be a good thing IMO. I hope they work together to get rid of that awful person (she’s a human equivalent of a dementor, sucking the joy out of everything). The only trouble with having too many good candidates is they might split the vote – each take some of the vote, but not enough to defeat her. In addition to campaigning for themselves, they need to make it clear to voters on how to use their preferences and put Mirrabella last. I have followed the story of Sophie Mirabella over the last few years, and am delighted to read that she is being subjected to some real investigation in the seat of Indi.